Welcome to our Hampton by Hilton London Luton Airport hotel. Ideally located close to London Luton International Airport (LTN), our convenient Luton hotel boasts a complimentary 24-hour shuttle service to and from the airport. Situated adjacent to Luton Parkway Train Station, with Direct Access to St. Pancras International Station, our Luton airport hotel offers easy access to Central Londonâ€"just 25 minutes away. 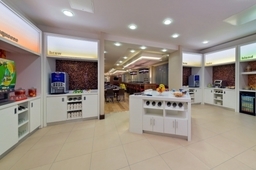 Hampton by Hilton London Luton Airport Welcome to our Hampton by Hilton London Luton Airport hotel. Ideally located close to London Luton International Airport (LTN), our convenient Luton hotel boasts a 24-hour shuttle service to and from the airport. Situated adjacent to Luton Parkway Train Station, with Direct Access to St. Pancras International Station, our Luton airport hotel offers easy access to Central London-just 25 minutes away. Our friendly and inviting Hampton by Hilton London Luton Airport hotel offers a fantastic range of amenities to help make your stay memorable. Start your day right with Hampton's free hot breakfast and enjoy free tea and coffee throughout the day. For dinner, visit the hotel bar and dining area offering light snacks and casual food. Alternatively, discover a wide a range of Italian, Indian and Chinese restaurants located in the heart of Luton.